Election officials have announced the polls schedule for the elections to Dhaka University Central Students’ Union (Ducsu) and its hall unions. 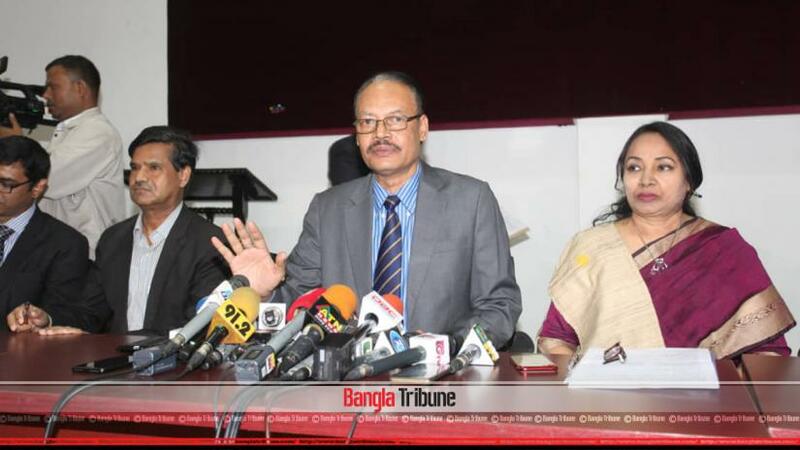 Chief Returning Officer Prof Mahfuzur Rahman announced the schedule at the Nabab Nawab Ali Chowdhury Senate Bhaban around 10:30am Monday (Feb 11). The voting will be held on Mar 11 and continue from 8am to 2pm inside the residential halls of the university, he said. According to the polls schedule, nomination forms will be distributed from Feb 19 to Feb 25 and the last day of submission is Feb 26. The chief returning officer also said that the list of candidates will be published on Feb 27 while the deadline for withdrawing nomination forms is set on Mar 2. The final voters’ list will be issued on Mar 5, he added.